A 768 page brick of a book, consisting mostly of articles on the subject previously published in Small Wars Journal. I’ve read a few of them but there is plenty more to chew on. Some new material, including a preface by David Kilcullen. Another interesting title, but I haven’t been able to get into it yet – it has been a busy couple of weeks. Where the above title goes into mainly the kinetic considerations of urban battles that largely haven’t been fought yet, this one stops to consider the extensive and increasing militarization of the largely non-kinetic life we lead in the West, via surveillance, security bureaucracy/ theatre and the manipulation of fear and language. An excellent post by Chris Bennett of the Game Design Thinking Research Group at Stanford University. Main subject is depictions of slavery in tabletop games but moves on to the broader subject of the player’s offhand engagement with experience of violence, trauma and immersion in subject. An interesting article mostly on a new computer game called Rebel, Inc. designed by James Vaughan of Ndemic Creations. 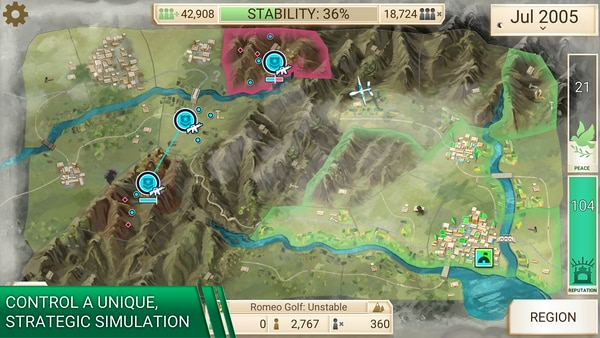 The writer introduces the game, and writes more broadly about the value of and use of these kinds of games for educating policy makers and other interested parties. He contacted Volko Ruhnke and me for some quotes and background. The conclusion is that “it’s complicated”, which is fair enough! EDIT: the game is available on Android! Appears to be free, but there are a lot of in-game purchases to make. Uploaded about 10 days ago and over 50,000 downloads and over 4,000 ratings already. No indication of total downloads for the iOS version, but it has over 9,300 ratings, so following the same ratio – let’s say at least 150,000 examples of the game are being played, or not. For perspective, it took five years and two reprints to get 10,000 copies of A Distant Plain out there. Sure glad I am not in this to make money. Next mission: back to Quantico! 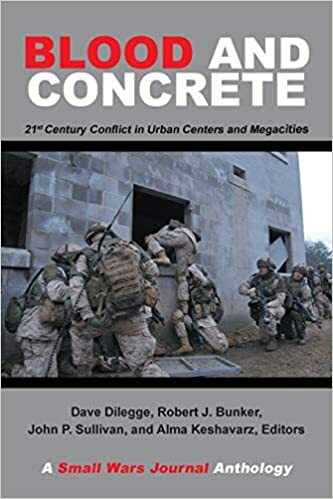 The Military Operations Research Society (MORS) is having a special “Analysis of Urban Warfare” event, 2-5 April at Marine Corps University. 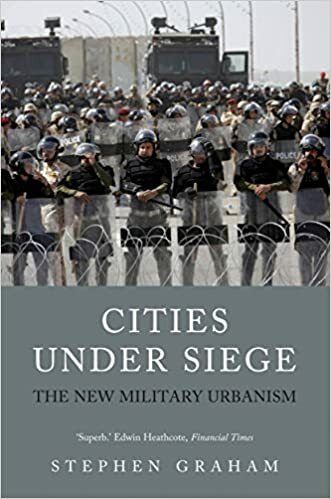 I’ve been asked to join the Analytical Tools working group, which hits on wargaming, so I’ll be presenting on some aspect of how urban combat’s been treated, in both my and other’s work. If all goes well, I may have a new playable thing to bring too…. Telling the US Defence Attache I will not hesitate to disarm their refugee survivalist militias by force, or something else sternly declarative. I guess for CDS verisimilitude I should be wearing my glasses halfway down my nose. Photo: Kevin Farnworth? Okay, back from Montreal, and while I didn’t need a reminder of what real cold felt like, I still got one. Presentation went fine and I met a lot of familiar faces as well as some new ones. My substandard pre-production replica copy of Nights of Fire even got a spin for a couple of turns! The Apocalypse North megagame was also an excellent experience. For six intense hours I played the Chief of the Defence Staff: I had two division commanders, five brigade commanders, a Special Operations commander and an Air commander to boss around. Things went pretty well and I hardly ever had to use “knife hands”*. On Monday Jim Wallman and I had a session with some of Rex’s students, dispensing free advice on the games they were designing for his 422 course. Worth every penny they paid for it, I’m sure. It was great hanging out with Jim; we hatched ideas for games like strings of firecrackers. A long and fortunately not involved flight back and here I am. It was six degrees, sunny and almost springlike out here today. I can see the buds on the cherry trees. Over the last five days Victoria has seen a huge dump of snow, the worst since the Great Blizzard of 1996, which was the worst since 1917. Okay, all in all it’s been about 50 cm over that stretch of time, but it isn’t gone yet and at this time of year we are used to kicking our way through cherry blossom petals, not slushdrifts. Just yesterday alone Montreal got 40 cm, and more to come… and I am heading into it very early Friday morning (that is, if the airport is not shut down! ), to attend the Connections-North conference on professional wargaming, organized by Professor Rex Brynen at McGill University. This is the second time Rex has run the “northern franchise” of the Connections family of conferences on professional wargaming, started and maintained to this day by Matt Caffrey. Other Connections regulars will include Stephen Downes-Martin, Anja van der Hulst, and Jim Wallman. The conference is a one-day event on Saturday the 16th, but I will be staying on a couple of days. Sunday is “Apocalypse North”, a megagame that will have about 70 players in it, and I have the role of Canadian Chief of Defence Staff! And on Monday Rex has laid on something like a master class Q&A on game design with members of his POLI 422 course, in which students design conflict simulation games to present their research topics. Sila willing, I’ll be leaving Monday night and returning to Victoria, where I hope all this snowy mess will have been cleaned up in the meantime.